Kris Currie built his new P.E.I. home, complete with 35 solar panels, to be energy self-sufficient. But he still has to pay HST on the electricity he generates. Every aspect of Kris Currie's home in New Dominion, P.E.I., was designed to minimize energy usage — from the thickness of the walls, to the position of the windows, to the choice of appliances, like a heat pump-powered clothes dryer. Even the paint colour on the interior walls was chosen to reflect natural sunlight, so no lights have to be on during daytime. The result is what's known as a "net-zero home," meant to generate all the power it needs over a year from the 35 solar panels on the roof. What Currie didn't know when he built the home is that "net-zero" doesn't apply when it comes to the HST. Currie pays nothing to Maritime Electric for his electricity, but is still billed for the HST on every kilowatt hour used, just like any other customer. "It's nonsense really. It should be exempt," Currie said. "We're using it for heat, for one. Oil's exempt. Now that we're producing electricity we're getting charged for it." While heating oil is exempt from HST on P.E.I., other energy sources for heating such as wood — or electricity — are not. Currie is part of P.E.I. 's net metering program, which allows individual homeowners to generate their own electricity, sending any excess into the grid in exchange for credits so they don't have to pay when they draw electricity back out of the grid — for example, at night when solar power can't be generated. Currie's home is generating more electricity than it uses, feeding the excess into P.E.I. 's electricity grid, where it's sold to other Maritime Electric customers — who pay HST on what they use. 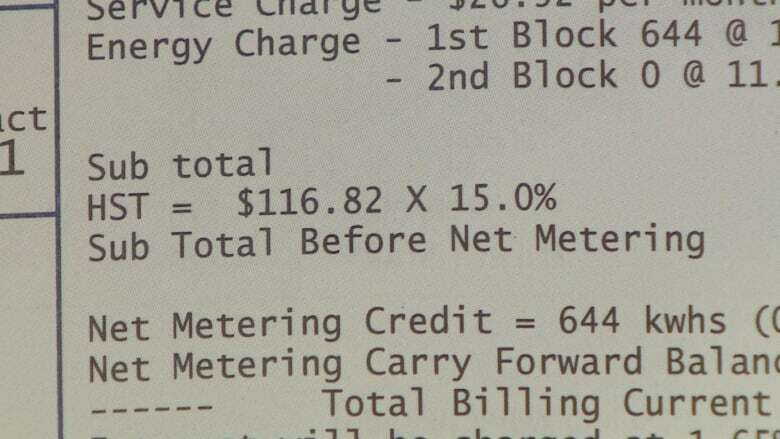 For April, Currie's bill shows he paid $13.49 HST on the 644 kilowatt hours of electricity he used — a third of the electricity his home produced over that period. In the winter, when his electricity usage increases, Currie said he'll be paying $50 or $60 a month in HST. 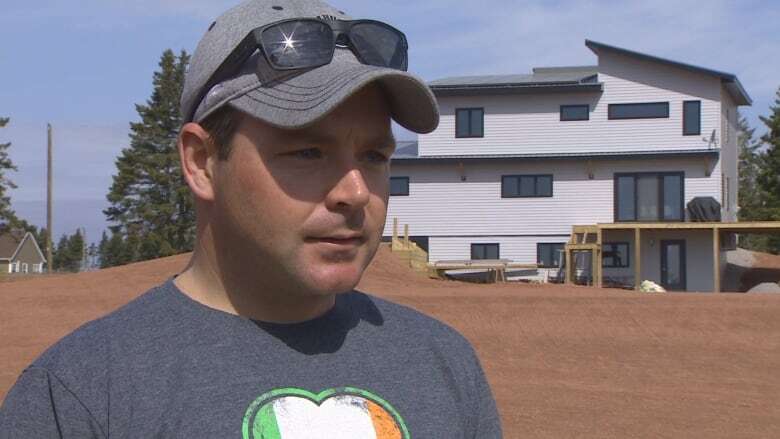 He said he spent an extra $46,000, without government assistance, to build a net-zero home. In fact, he paid HST on the solar panels and the labour to have them installed. He did it, said Currie, partly to save on his monthly bills, but also to reduce his family's carbon footprint. But the added tax means it will take longer for that investment to pay off, and he said that will discourage other homeowners from doing the same thing. "Everybody's on a cost basis when they go to build a house or retrofit a house or try and reduce their energy consumption," he said. "It all goes into cost at the end of the day, how many years payback will you get? …The quicker we can get a payback, the quicker this stuff's going to get produced." 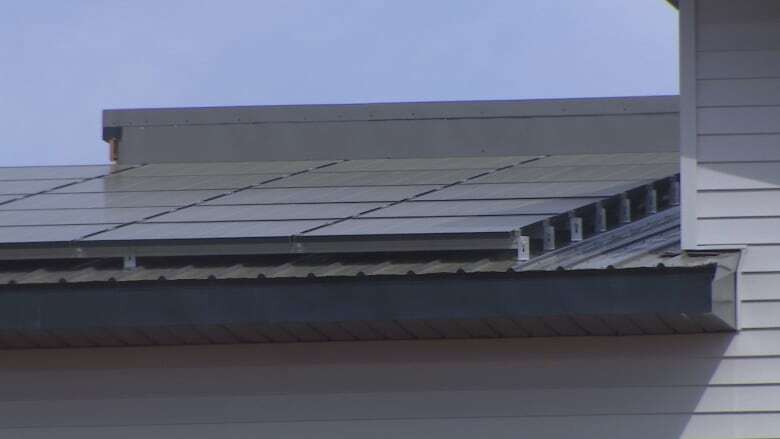 The provincial government and Maritime Electric both told CBC News that federal tax law requires HST be charged to homeowners involved in net metering. They said homeowners could claim back the HST by registering as a business, although Currie said his accountant advised him the extra costs and paperwork involved in doing that would cancel out the benefits. 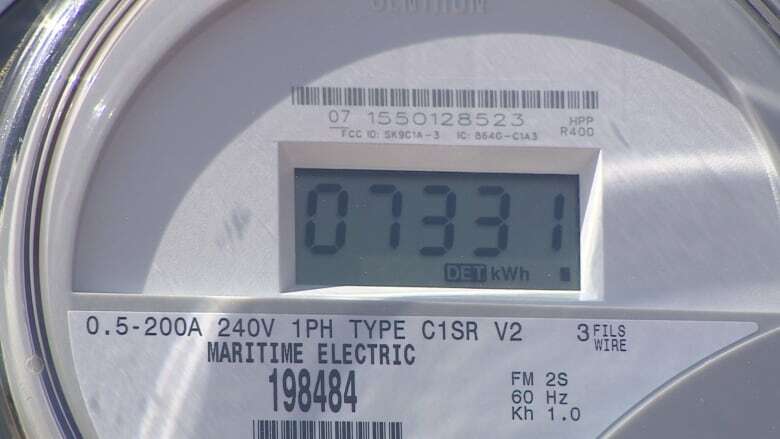 The provincial government did say it has commissioned a review of the electrical grid, which could lead to changes to the net-metering program.